Who will make the first Kent Green Hop Beer of 2012? With more than 20 breweries taking part in Kent Green Hop Fortnight things could get a little…competitive. So, which of them will be first off the mark with making a Green Hop Beer? And the brewery is…. Old Dairy Brewery in Rolvenden. 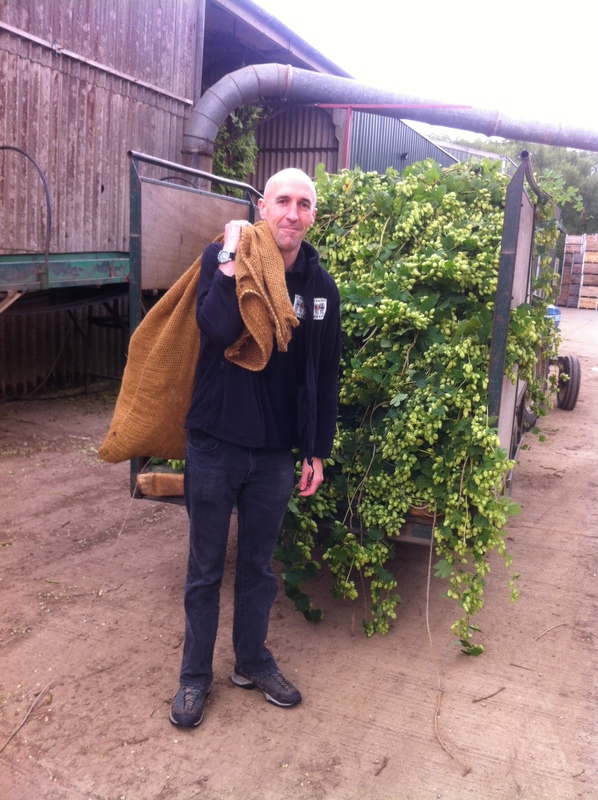 On Wednesday morning (29 Aug) brewer Ed Wray picked up a load of fresh, green hops from Hayle Farm in Horsmonden and dashed back to base to brew a golden ale called ‘Fresh Hop’ which will be 4% ABV. It’ll be a little while before the beer is ready, but make sure you join us for Kent Green Hop Beer Fortnight starting in Canterbury on 28th Sept for your chance to sample Ed’s brew. Special thanks to Eleanor of hop merchant Botanix Ltd/Simply Hops for the photo and for arranging the first of these green hop dashes.